In the information age, specifically its latest iteration, social media, it’s easier than ever to slip the rails and get off track. I’m not talking specifically about poor online behavior or being a bad social neighbor, but practicing what you preach and taking responsibility for your actions. To use a well-worn adage, you need to “eat your own dog food”. Follow your own advice. Sounds simple, right? I’ve found myself in many situations where I fail to follow my own advice, and I tend to prove myself right when things don’t work out. Be consistent with your convictions, but don’t be unwilling to shift or change them should you find a better way or gain an better perspective. This is doubly and triply important if your words are captured in the printed word, blogs, podcasts, videos, or other media. People will notice and call you out if you get off track. Own up to your mistakes. Again, a simple concept, but one I fail to see more often than I’d like. Your words and actions are your creations and therefore your responsibility. If you make an error in perception or judgment, admit it, learn from the experience, and move on. I’ve found that people can be far more understanding and forgiving if you accept and own up to your faults. If it’s an argument or dispute that you’re involved in, and you’re in the wrong, be the better person and swallow your pride. So, bust out the can opener, grab a spoon, and get ready to chow down. 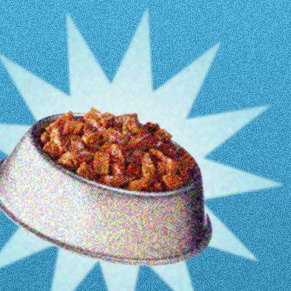 Eat more dog food. You’ll be glad you did. Applies to real life as well. Hard to eat your dog food online if you can’t eat it in your eveyday life. I visited with family over the weekend and caught myself turning my nose up at my own dog food. Of course, it is still there calling to me.